What a fantastic shot you got! 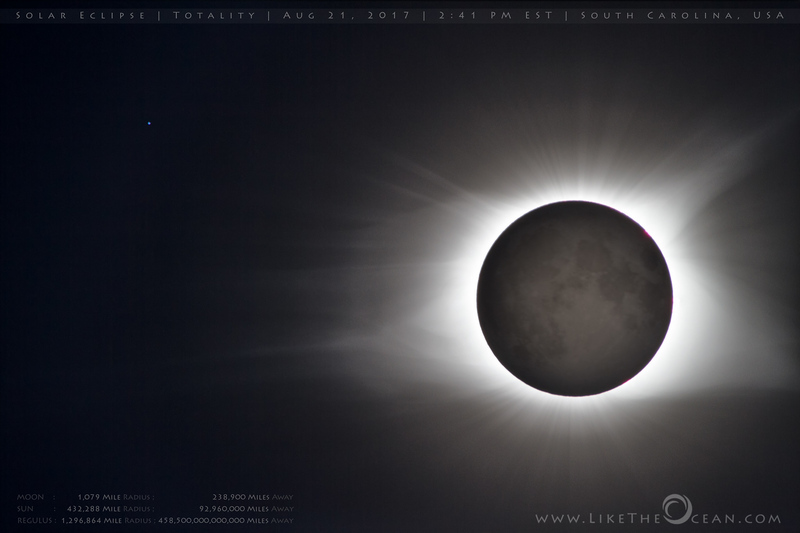 I was in Charleston during the eclipse so I also got to experience totality. It was truly incredible. Nice shot! I’ll be posting my pictures this week.. it was such an incredible experience, and you captured it beautifully! Oh no!! I still had the ND filters on just before totality, but I still had them off afterwards, so I was able to capture those moments as the moon was leaving. Thanks for checking out my post. It truly was a remarkable event.